Creates perfect color french tips and unique nail art designs! 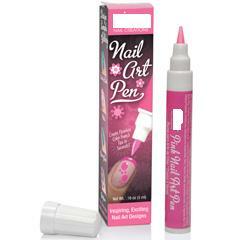 Add magic to manicures and pizazz to pedicures! Create thousands of professional nail art designs. Itâs a fast and easy way to increase your service income.Because this product is so different from any other nail polish product, please read and follow these directions. INSTRUCTIONS: Nail polish must flow from pen nib for proper application. First Use: Shake pen well, remove cap, press nib of pen straight down on a protected surfaces lightly into the body of the pen.Pen is ready for use when nib is all white and wet with polish(about 1 minute). Subsequent Use:Shake pen and depress nib to freshen the nib with polish before each use. Creates perfect color french tips and unique nail art designs! 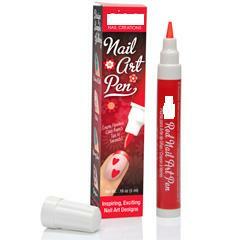 Add magic to manicures and pizazz to pedicures! Create thousands of professional nail art designs. Itâs a fast and easy way to increase your service income.Because this product is so different from any other nail polish product, please read and follow these directions. INSTRUCTIONS: Nail polish must flow from pen nib for proper application. First Use: Shake pen well, remove cap, press nib of pen straight down on a protected surfaces lightly into the body of the pen.Pen is ready for use when nib is all red and wet with polish(about 1 minute). Subsequent Use:Shake pen and depress nib to freshen the nib with polish before each use. Creates perfect color french tips and unique nail art designs! Add magic to manicures and pizazz to pedicures! Create thousands of professional nail art designs. Itâs a fast and easy way to increase your service income.Because this product is so different from any other nail polish product, please read and follow these directions. INSTRUCTIONS: Nail polish must flow from pen nib for proper application. First Use: Shake pen well, remove cap, press nib of pen straight down on a protected surfaces lightly into the body of the pen.Pen is ready for use when nib is all purple and wet with polish(about 1 minute). Subsequent Use:Shake pen and depress nib to freshen the nib with polish before each use. Creates perfect color french tips and unique nail art designs! 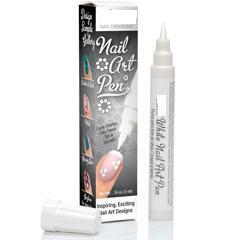 Add magic to manicures and pizazz to pedicures! Create thousands of professional nail art designs. Itâs a fast and easy way to increase your service income.Because this product is so different from any other nail polish product, please read and follow these directions. INSTRUCTIONS: Nail polish must flow from pen nib for proper application. First Use: Shake pen well, remove cap, press nib of pen straight down on a protected surfaces lightly into the body of the pen.Pen is ready for use when nib is all pink and wet with polish(about 1 minute). Subsequent Use:Shake pen and depress nib to freshen the nib with polish before each use. Creates perfect color french tips and unique nail art designs! 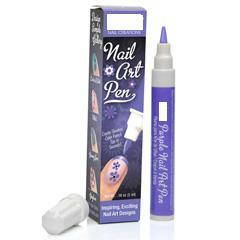 Add magic to manicures and pizazz to pedicures! 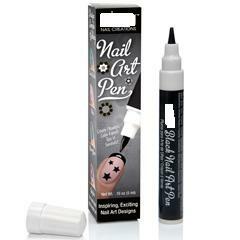 Create thousands of professional nail art designs. Itâs a fast and easy way to increase your service income.Because this product is so different from any other nail polish product, please read and follow these directions.“INSTRUCTIONS:“Nail polish must flow from pen nib for proper application.“First Use:“Shake pen well, remove cap, press nib of pen straight down on a protected surfaces lightly into the body of the pen.Pen is ready for use when nib is all black and wet with polish(about 1 minute).“Subsequent Use:Shake pen and depress nib to freshen the nib with polish before each use.